Steidl, Gottingen, Germany, 2019. In English. 80 pp., 57 color illustrations, 11¾x13¾x¾". 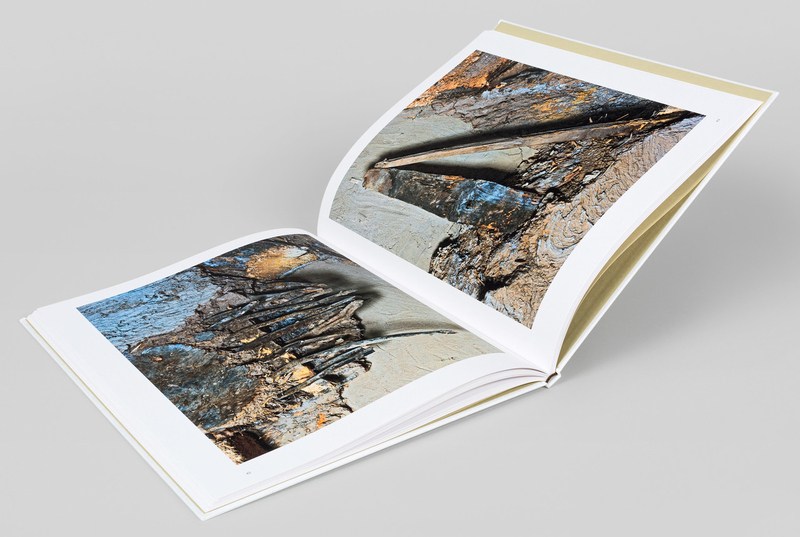 Robert Polidori (born 1951) has been making books at Steidl for over 18 years now, and for many of his visits he lodged in an apartment adjacent to the publishing house. To the left of this, at Düstere Straße 6, stands a small humble house, not only the oldest dwelling in Göttingen but, dating back to 1310, one of the oldest half-timbered houses in all of Germany. Miraculously never demolished over the centuries (just altered, repaired and patched up), it has now been restored by Gerhard Steidl and today houses the Günter Grass Archive, part of the University of Göttingen. 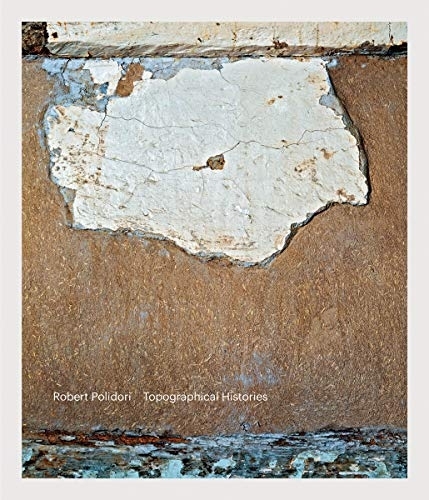 Topographical Histories presents Polidori’s 2016 photos of the interior walls of the building, whose glorious crumbling layers 14th-century structures of wattle and daub, clay bricks and plaster, and remnants of paint and wallpaper from different centuries bear witness to living history. Polidori focuses on the subtle colorations, depth and complexity of these surfaces, creating an unconventional, painterly architectural portrait.